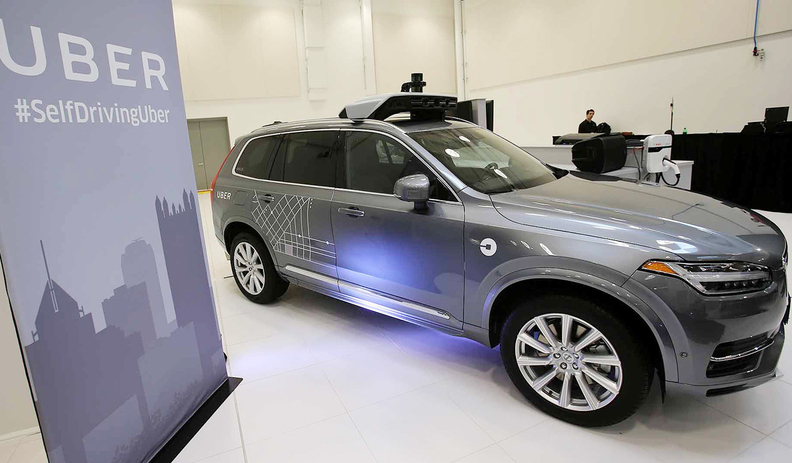 Uber Technologies has spent more than $1 billion on autonomous vehicle technology to compete with giants such as Alphabet Inc., Apple Inc. and General Motors Co. The ride-hailing company reported $457 million in r&d expenses for its self-driving unit on Thursday in its filing for an initial public offering. That was up from $384 million in 2017 and $230 million in 2016. Those numbers also include other tech projects, such as a flying car initiative. Uber also warned prospective investors that its adjusted losses would rise in the near term thanks, in part, to those costs. Uber has invested heavily in self-driving cars, a futuristic technology that could upend its core ride-hailing service. But the company was outspent by at least one rival in the field: Cruise Automation, the General Motors self-driving arm. Last year, Cruise reported spending $728 million and said the amount would top $1 billion in 2019. Alphabet’s Waymo, the veteran in self-driving, does not disclose spending. Uber started testing self-driving cars with passengers in 2016. Its efforts soon hit turmoil after a bitter lawsuit with Waymo and a fatal incident in March 2018. In its Thursday filing, Uber said it had developed 250 self-driving vehicles, which had "collected data from millions of autonomous vehicle testing miles, and completed tens of thousands of passenger trips." Uber has already begun trimming its spending on self-driving cars. In the fourth quarter, it spent $89 million on its research division, down from $129 million in the second quarter. The company listed Waymo, Cruise, Tesla Inc. and Apple, among others, as competitors in self-driving technology. Uber warned investors about the potential impact to a key part of its existing business: "our autonomous vehicle strategy [may] add to Driver dissatisfaction over time, as it may reduce the need for Drivers." Uber also said that it may be on the hook for a legal arbitration award worth more than $100 million related to Anthony Levandowski and Lior Ron, two engineers it hired that were at the center of the Waymo dispute.